I’m sat here as I write this listening to Sia’s new album, on a roof top with a glass of wine in my hand. I honestly just started to laugh out loud, just thinking how I’ve ended up here. Rewind a few years ago and I was at the worse point of my life. I tend not to discuss it as, well, it’s pretty private, but it’s really made me want to live for the here and now. One day during that time I met someone, carrying no more than a ruck sack and a holdall. When I asked him where he was going, he said he was off on an adventure for his gap year. He was catching a one way flight to California to go find himself because “That’s where dreams are made”. Its always stuck with me and secretly I wished I could have joined him. To really go taste what life is about as for me, my dream is to fill my life with experiences now and see what’s out there. So one day, sat in my skyscraper office here in London, when a little ping went off on my mobile, I never expected to be reminded of that moment 2 years ago. I received an email to say I’d been shortlisted for an award in the food and drink category for the Dream Big Awards by The Guardian and Visit California. I’m utterly astounded and so proud to think of what my blog has achieved. My life is so different now, but I’ve always felt there is still more… and so I have the opportunity to go do it as the winner will get to go live there dream…. A few years back I went to some classes that were based on the wellbeing principles of Dr Deepak Chopra. He teaches you the principles of positivity, productivity and a happy well-being. One of his teachings is ‘Healing through the 5 senses’. Funnily enough his Wellbeing centre and Spa is in California, and so I decided to use him as my inspiration and have chosen to experience California though The 5 Senses. I would start my trip with sight. 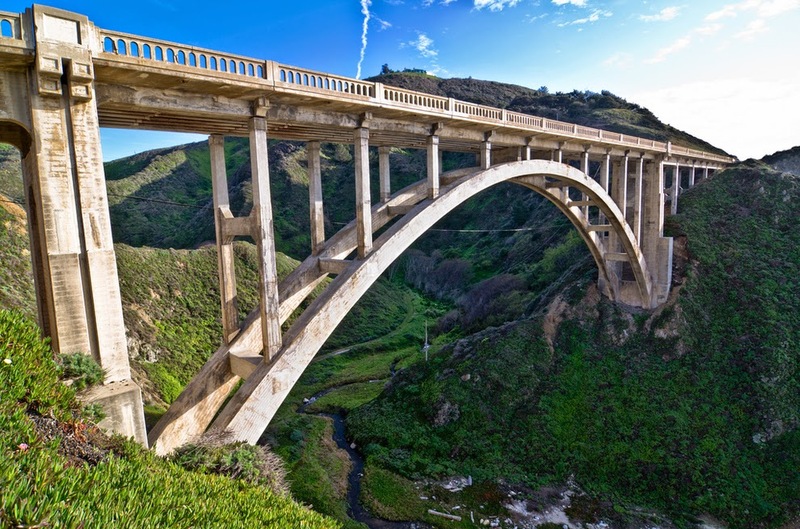 California is often considered one of the most beautiful states in the country and so as soon as I’d land, off I’d go, like the explorer I am becoming. There is no doubt that I am a city kind of gal. But I’ll tell you something, deep down I just want to put on my hiking boots and set off into the forest and the mountains and take a big deep breath and breath in that clean air. 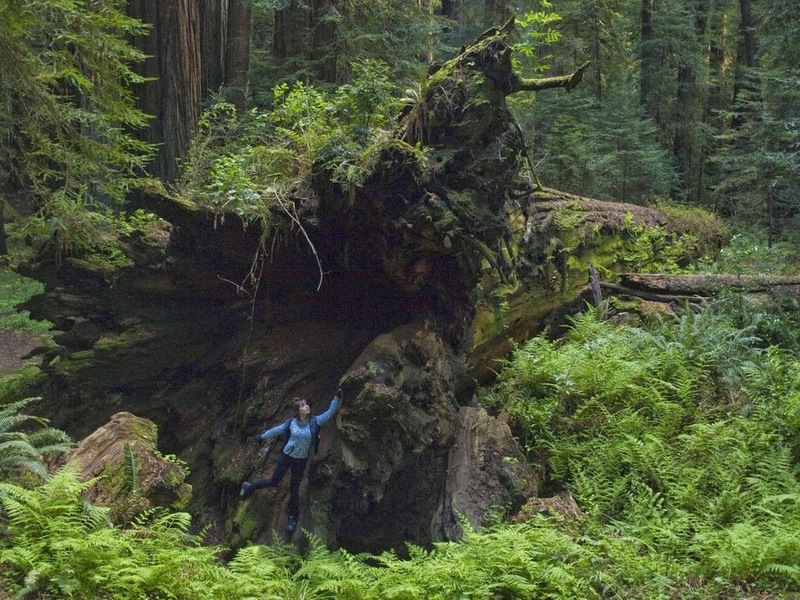 I would take a team and head off into the Avenue of The Giants in Northern California. Some of the oldest and largest trees live in this area, so I think it would only be fitting to explore and get back to nature. 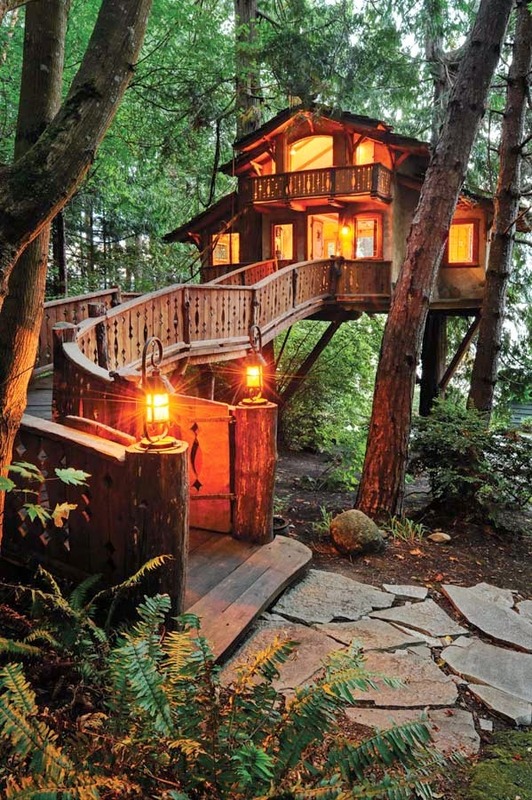 There would be no fancy 5 star city hotels here- I’ve always wanted to camp in a treehouse, listen to the birds and see the forest come alive at night. Then after spending some time at the micro level I think it would be time to see the Macro. My dad once took a Microlight flight and he said it was one of the most brilliant, inspiring things he’d ever done. With that kind of review I know I’d have to take something similar over California. 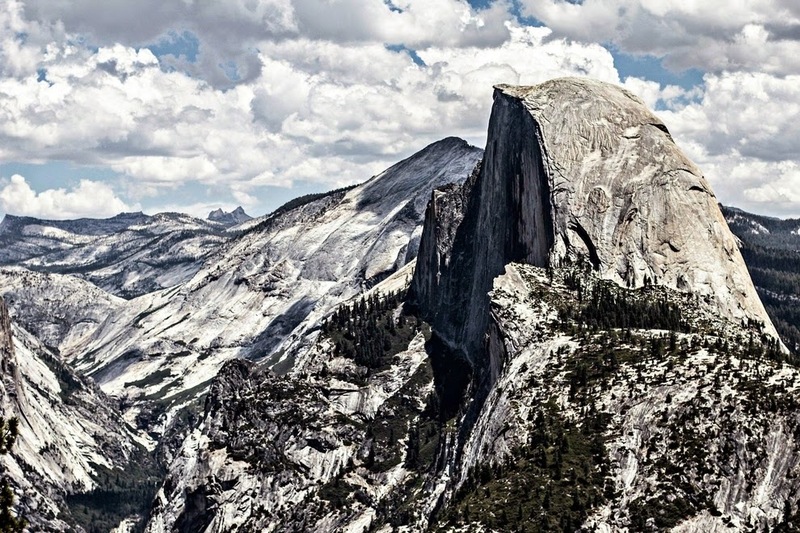 The dream would be to fly up to the very top of the Half Dome in Yosemite National Park. Imagine standing on that very peak, arms wide open and just yelling out to the abyss. 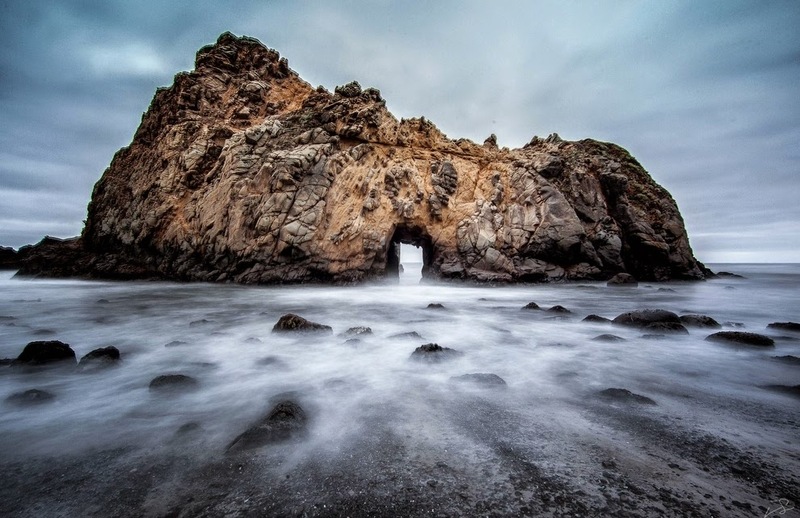 Finally I would take a little wooden boat out and sail right underneath the rock formations at Pfeiffer Beach. Have you seen anything more beautiful? Now food is a big part of my life, I mean I’ve been shortlisted in the food and drink category! I loved the quote by Viginia Woolf “One cannot think well, love well, sleep well, if one has not dined well.” and I take it as very much my mantra. Anyone worth their foodie status in California will know of Ari Taymor. He opened up a pop up restaurant called Alma. Starting out in 2012 as an ambitious pop up with "four burners and a broken oven door", it soon turned into one of the California’s, no the country's most thrilling new restaurants. Yet getting a table is like gold dust, so why bother trying? 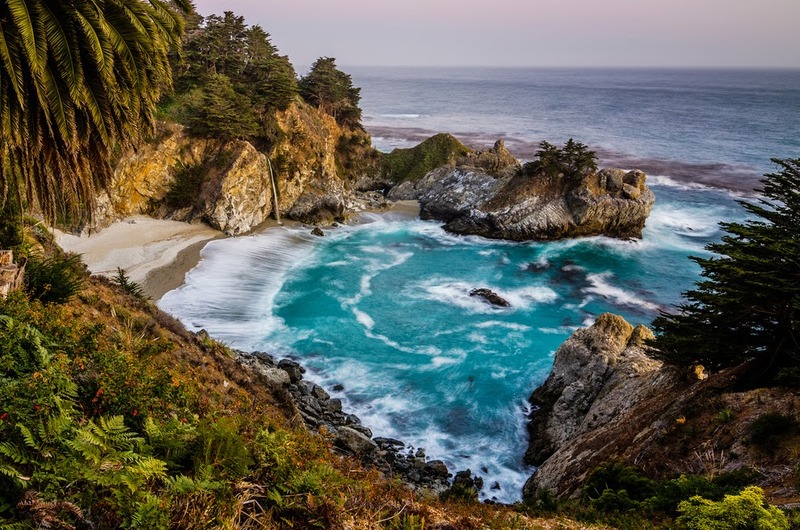 Instead I’d bring the table too me, and have Ari cook his classic dishes right on the sands at McWay Falls. 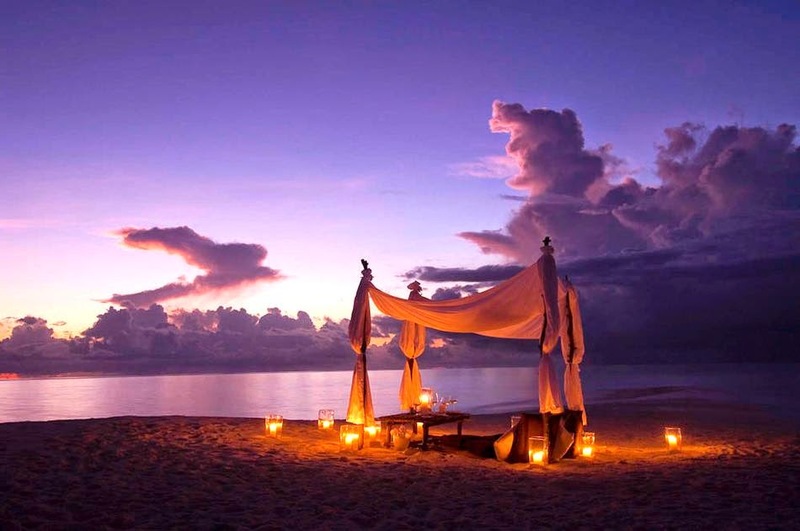 Imagine eating fresh fish, right with the sea breeze in your hair- and not a single waiting list in sight. My idea of travel, doesn't involve a first class plane or champagne filled lounges. No, in fact something I've wanted to do for a very long time, is take a road trip. You know, a open top vintage car, hands in the air, wind whipping you hair across your face. The smells you would get a you travelled across state... wow- pine from the forests, the smell of BBQs from those road side joints. Smell is an underestimated but powerful thing. Simple, yet it can be the most life changing of all. 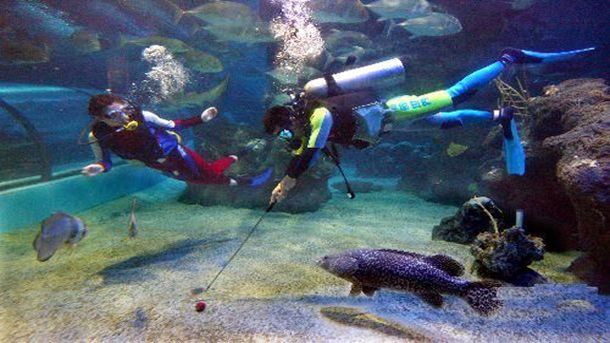 Have you heard of deep sea golf? No, well then listen up. Imagine tropical waters, beautiful fish all around, and you and your friends diving to the sandy bottom to hit that perfect shot. Crazy, and maybe that little bit egotistical but it’s like nothing you’ll have done before. Nearing the end of my journey I feel no great self discovery trip would be complete without a little danger. 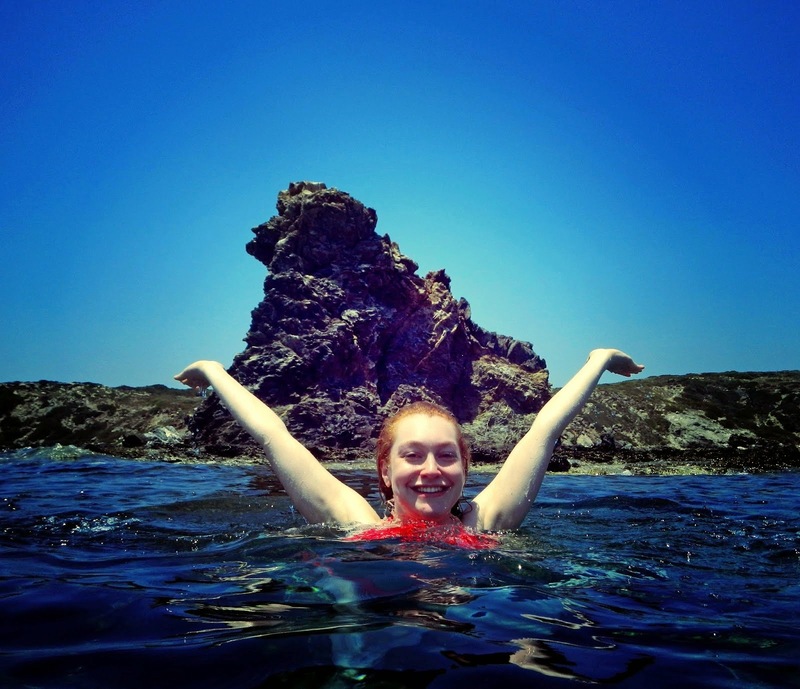 There is one thing I have always wanted to do and that is Volcano Surfing. Volcano Surfing I hear you ask? It’s pretty much snowboarding except you’re on a live volcano. Maybe best to save this till last- you know, just in case. I got the idea from these amazing guys and while they didn’t do it strictly in California, I think I could introduce a new craze there. Finally there is something I could not leave California without doing. And that is to go to where this all started- The Chopra Centre. To hear the teachings and meditate under the Californian sun- could there be anything more serene? If you have a dream, I'd say just go for it. Dream Big, and make it happen. Take it from me- you don't want to regret not having experienced the world and what is out there. This trip would honestly change my life. Wow, Laura, this post was simply beautiful. One of my favourite of yours! I could really see the passion that you felt while writing it. I have all my fingers and two crossed that you win!! OMG Laura. Massive congratulations and good luck. I didn't know Volcano surfing was a thing! I would totally do that! Plus, the roadtrip thing I totally get - I would love to see you win as I can imagine your posts covering it would just be incredible! I've always wanted to see a giant redwood in real life! Congrats! You definitly deserve to go :) I think I´d be a little too scared to go volcano surfing, just in case. Thanks lovely. Well you only live once eh? I think it would really open up my eyes to the world going on this trip! Thanks babe! It's so cool right? That sounds amazing & I would really love reading your posts if you won - albeit I'd be insanely jealous. wow such an amazing opportunity! hope you get it! (Im not going to say 'If I was' cause one day I am going to there) I will be visiting the cafe's as I'm a coffee blogger :P Also, wouldn't want to miss any of those beaches! San Francisco bridge is a defiant visit! What a heart felt fantastic post - thank you :) I really enjoyed reading that and it has made me feel inspired to dream big! I have only just started my blogging journey but who knows where I could end up! Great blog and a great attitude. Good luck Laura! I love this blogger! So visceral!